At not-so-long last, King Harald has made it through all the stages of knitting a project, from choosing a pattern to purchasing the yarn to casting on—I don’t swatch for socks and hats; socks and hats are swatches unto themselves LOL—to doing the actual knitting to tucking in all the loose ends to the coup de grâce, washing and blocking. 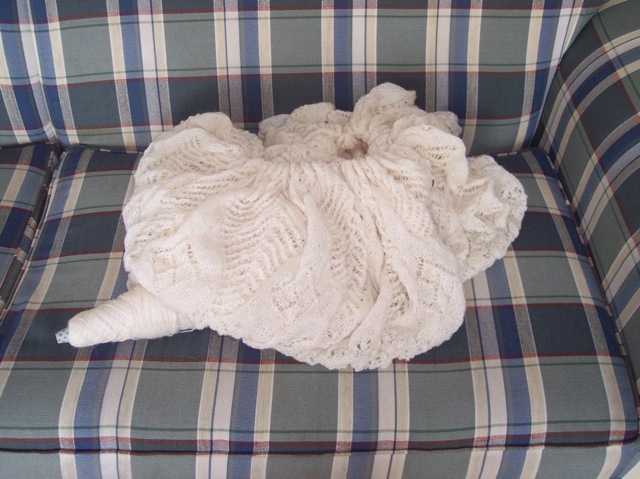 Only 13 days from cast-on to washed-and-blocked. Not bad, eh? Yep, I’m in my jammies. I also really need to work up the gumption to cut the armholes in my Dale of Norway Gjende and get the sleeves sewn in and the hems tacked down and, as much as I dread to say it, the loose ends woven in. Then there is my Orkney Pi. 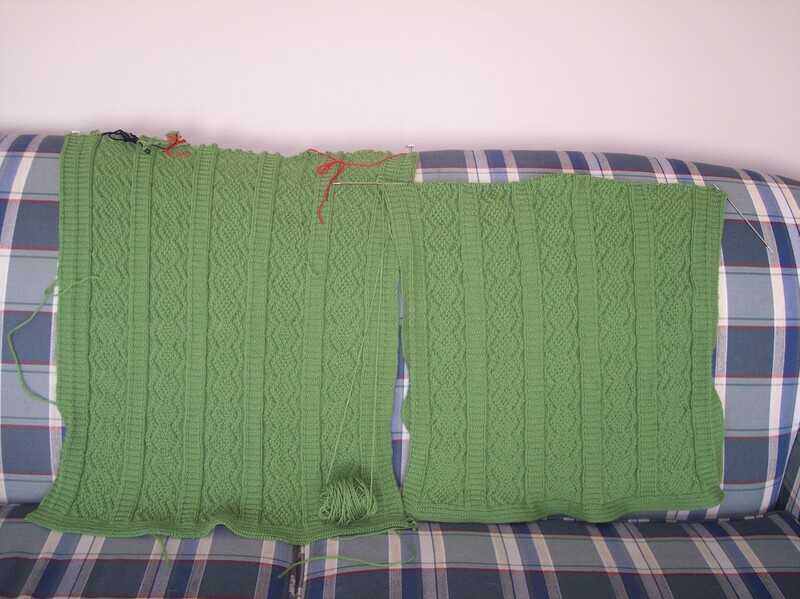 The knitting is finished except for the edging. I started the edging and have completed maybe half-a-dozen repeats, but I got distracted by other projects, and Orkney Pi has been languishing ever since. Now it’s time to get it finished, and I’m debating whether to continue with the knitted-on edging or rip it out and just cast off. Since the shawl is quite large, it doesn’t need the edging to add to the size. 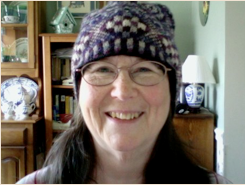 It was designed by the indefatigable Liz Lovick to be finished with either a plain cast off or a knitted-on edging (or, one could do a crocheted loop edging or a knitted picot edging), so I have lots of choices. I have seen pictures of Orkney Pi shawls that have been cast off, and they look really nice. The cast-off edge works very well in this design and makes a nice finish. But I am partial to knitted-on edgings and will probably go that route even though it will take a lot more time than just casting off. I’m determined to complete these three projects before I start another big project. 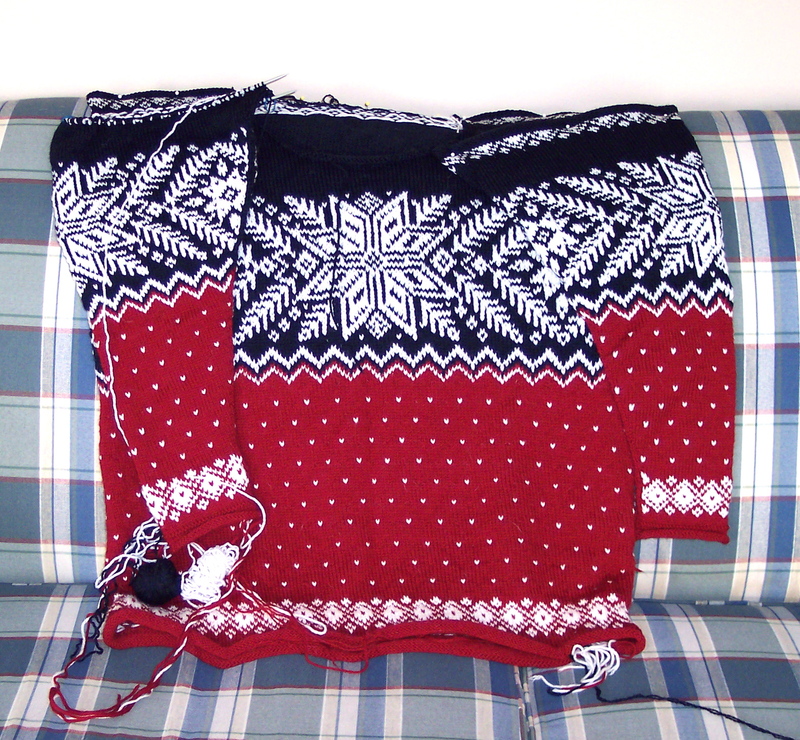 I could finished Gjende in only three or four days, if only I would get out the old Singer and sew up those armholes and cut the openings. The only actual knitting left to do is the neckband, and I cannot knit that until I have cut the armholes and sewn up the shoulders. It is shameful how long Gjende has been languishing. 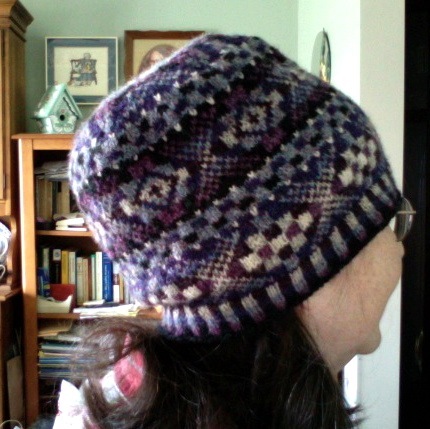 I started it as part of a Dale of Norway KAL back in January of 2007. That’s over two years now. Holy cow! 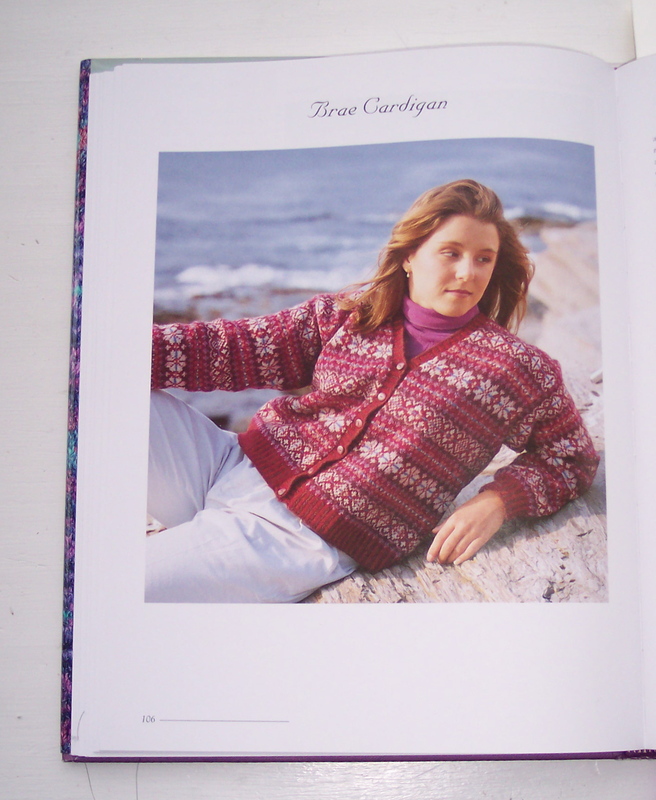 or the red cardigan in Ann Feitelson’s The Art of Fair Isle Knitting. 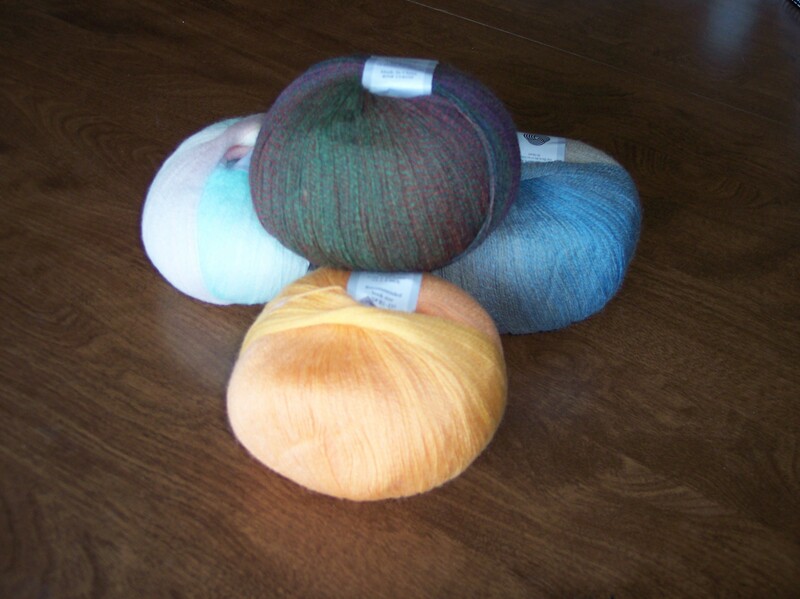 I also have in my stash the yarn for three Dale of Norway sweaters, and I have ordered yarn from Ireland for St. Enda, from Alice Starmore’s Aran Knitting. 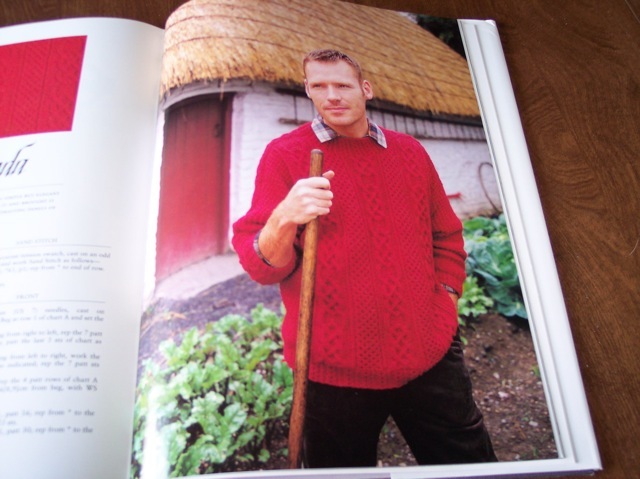 And there are at least five sweaters in Madeline Weston’s Country Weekend Knits that I really want to make. Then there is all the Jojoland Harmony laceweight yarn in my stash that is calling me—three balls each of four different colors. 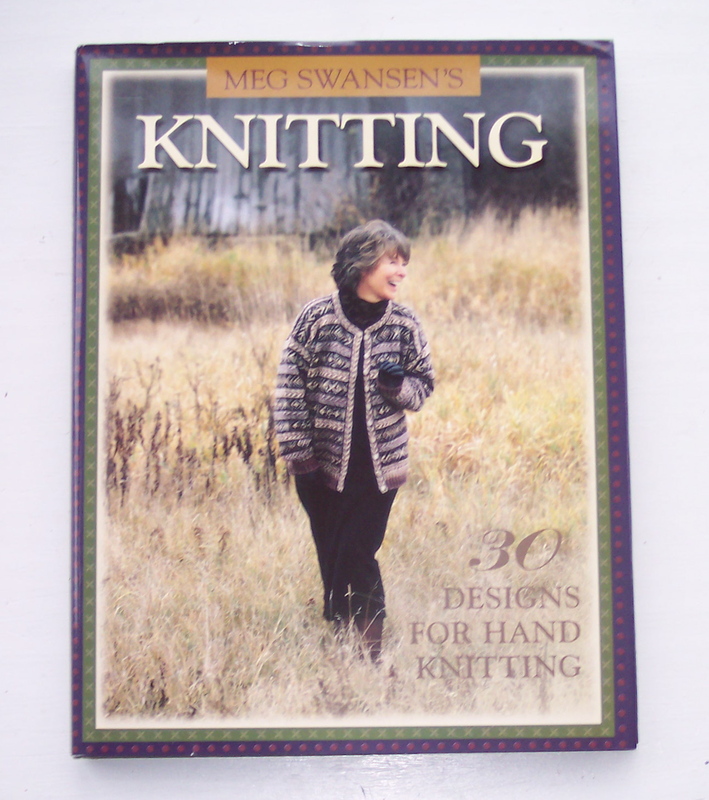 I want to knit another Maple Garland shawl from Marianne Kinzel’s Second Book of Modern Lace Knitting and another Kerry Blue Square from Traditional Knitted Shawls, and many more. I also have oodles of sock yarn in my stash that desperately wants to be knitted up, and mittens and hats calling to be made.